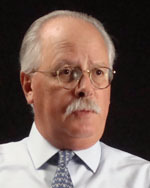 Howard G. Sutton is Publisher of The Providence Journal and President and Chief Executive Officer of The Providence Journal Company. He was Chairman of The Providence Journal Board of Directors from 2000 to 2008. Sutton is a Past President of the New England Newspaper Association, a member of The Audit Bureau of Circulations Board, Chair of Crossroads Rhode Island, on the Board of The Academic Decathlon, and a trustee of Salve Regina University. Sutton holds an undergraduate degree in history from Notre Dame University and an M.B.A. from Providence College. He is also a graduate of the Harvard Business School P.M.D. program. Howard Sutton, an employee of the Providence Journal since 1973 is impressed daily by the complex product that his colleagues produce.